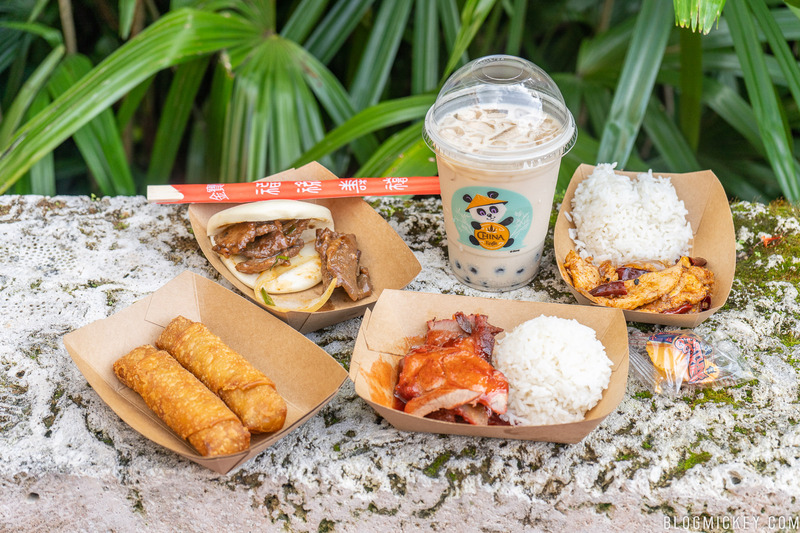 We continue our clockwise culinary tour of the 2018 Epcot International Festival of the Holidays with the Shanghai Holiday Kitchen in China. 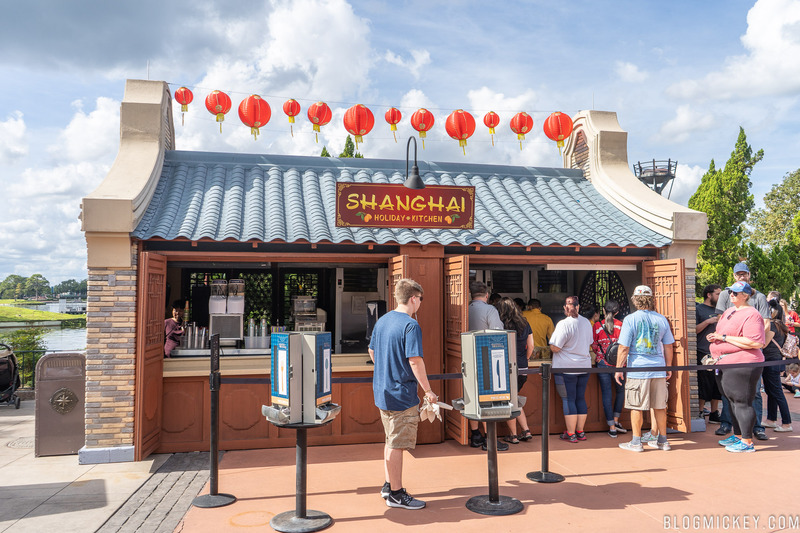 The Shanghai Holiday Kitchen is located on the World Showcase promenade in the China pavilion. 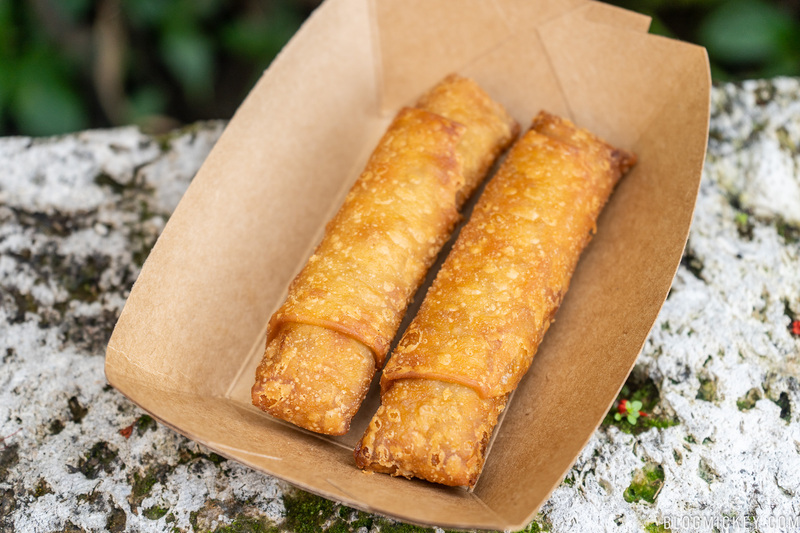 A standard issue vegetable spring roll. It was executed well, but just not exciting enough to recommend at $4.25. It wasn’t bad, it just wasn’t anything spectacular. Even the pork inside didn’t stand out. A safe pass. 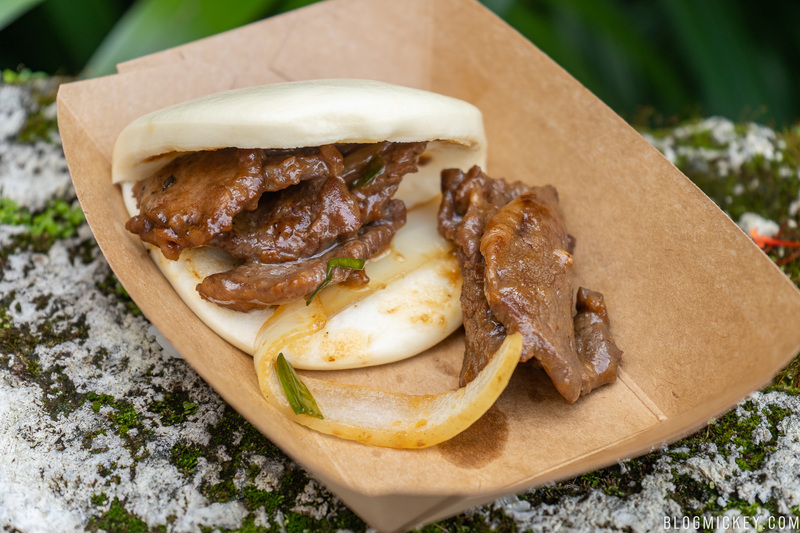 The mongolian beef bao bun was enjoyable enough if you just ate the beef. It was tender, cooked perfectly, and was seasoned appropriately. That said, the bao was terrible. It was dry and overly rubbery. If served at $1 cheaper and properly executed bao bun, this would have been a nice dish. As it was presented to us, we can’t recommend it over the celebration barbecue pork below. 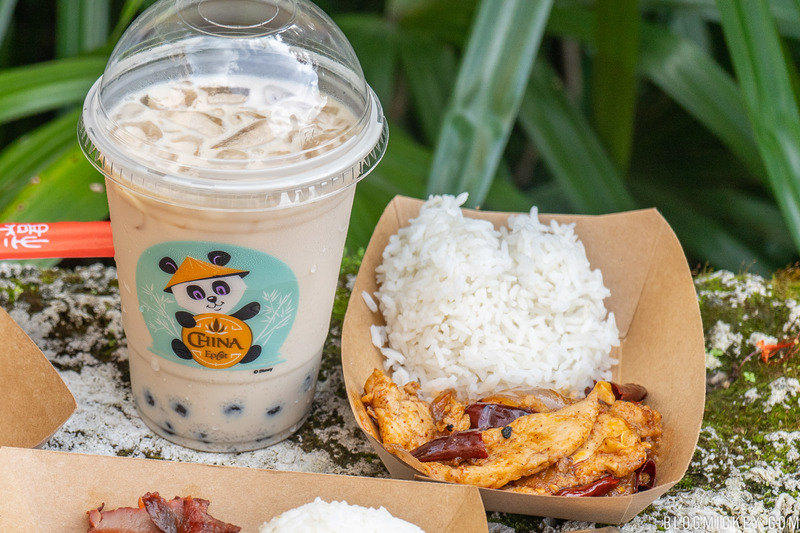 We’ve arrived at the best dish of the Shanghai booth – the celebration barbecue pork. A nice amount of glaze delivers a sweet taste without overdoing it. The pork itself was just as tender as the mongolian beef above, which is always welcome when using plastic forks and knives. Any excess sauce pairs well with the steamed rice to round out the dish. We can definitely recommend this offering. A blogger blunder led to me not getting a standalone shot of the spicy mala chicken, but that may have been fortuitous because you’ll need a drink nearby for this dish. This chicken packs the heat and it’s the type of spice that sits on the tongue for a bit. It’s a standout amongst festival dishes for the bold addition of spice alone. Whereas we normally see a more mainstream take on spice, this dish throws caution to the wind and it works! 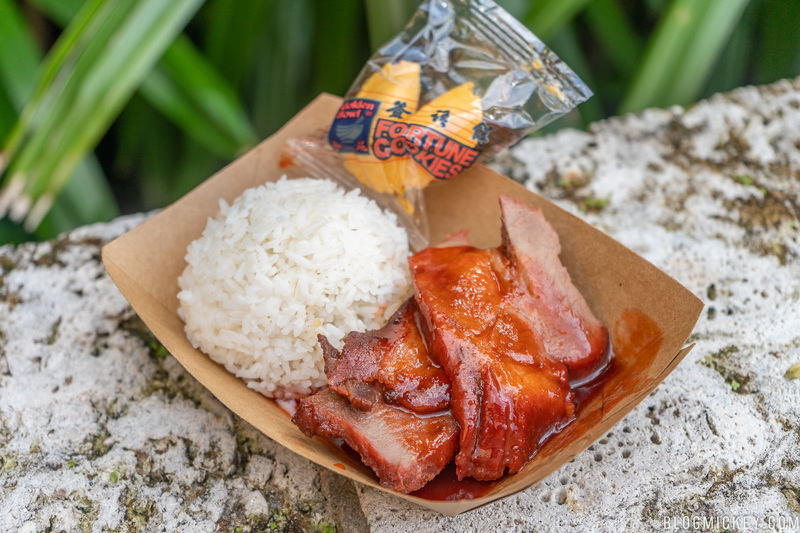 While I still think I’d recommend the Celebration Barbecue Pork over this dish, I’m happy to see something so bold at the table, and hope other festival offerings look more towards a bit more heat where it makes sense. 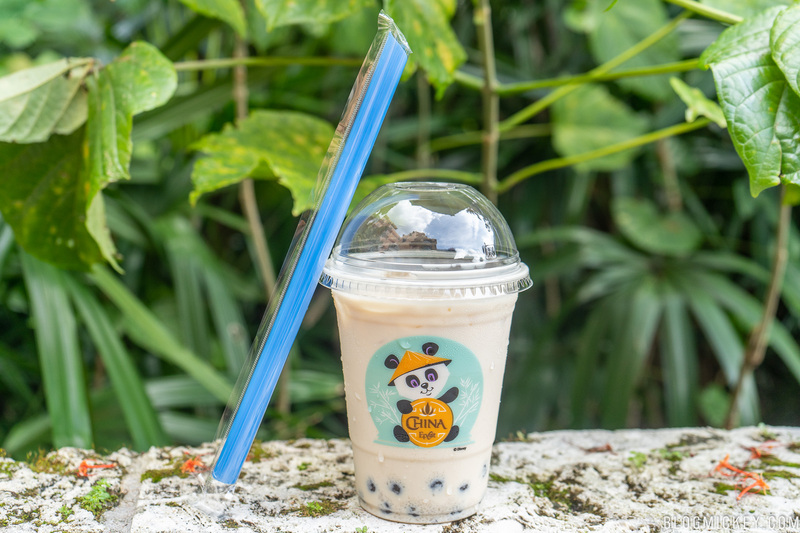 The menu describes this as a non-alcoholic mango-flavored milk tea with tapioca pearls. 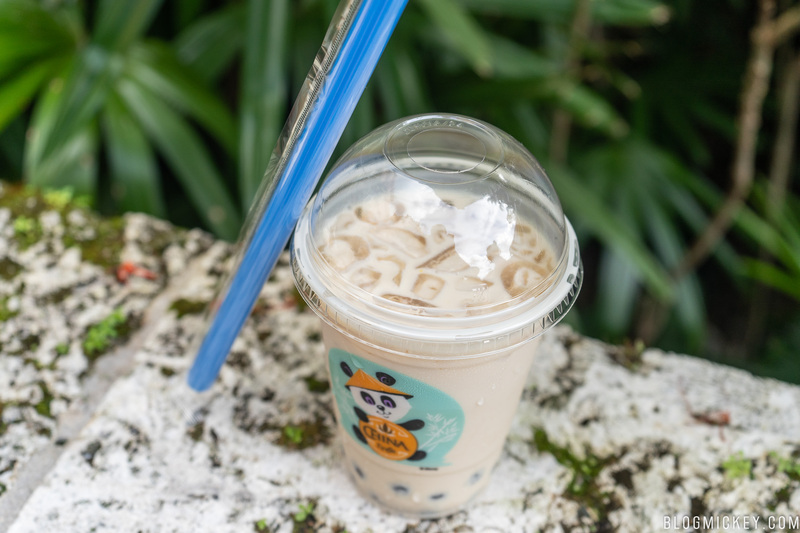 The sweetness is definitely present in this drink! A large offering by festival standards probably helps with the price tag, and it’s certainly a drink that can be shared. While I didn’t note any mango flavoring, it was a nice, sweet drink that was enjoyable in the moment, but not something that I’d come back for.